Continuing on my quest to find out more about the family histories of well known figures I have decided to research the family trees of the members of Pink Floyd, whose music I have appreciated and enjoyed for many years. The origins of the group go back, unbelievably, to 1963 but the Pink Floyd that most of us recognize today have been making music since 1965. They release their debut album ‘ The Piper at the Gates of Dawn’ in 1967. They rapidly became one the most influential acts of the 1970’s, kings of the progressive music genre, and one of the most spectacular live acts ever. decided to join up. Waters believed that his father and all those who lost their lives in the war were betrayed because they believed that they were fighting to end the need for countries to go to war ever again. So the timing of the album coming out in the same year as Margaret Thatcher declared war on Argentina over The Falkland Islands provided the opportunity for Walters to make a point about the futility of war. As we will see, Eric was not the only member of his family tragically cut down in his prime. 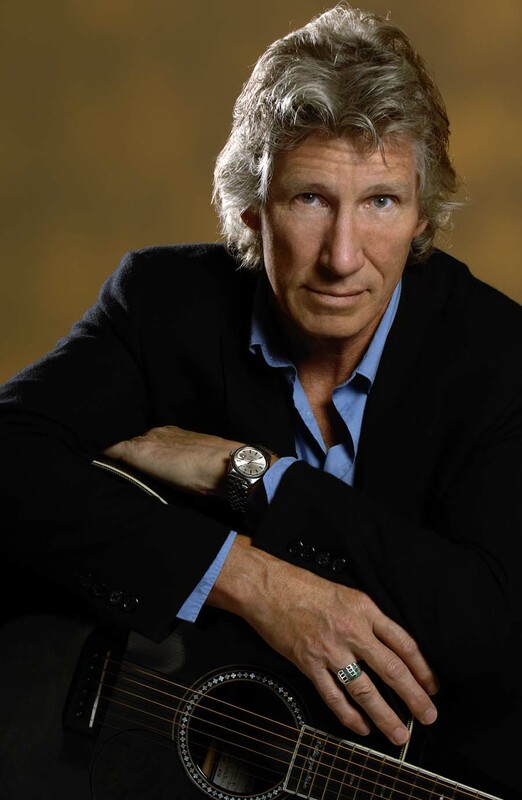 George Roger Waters was born on 6th September, 1943 at Great Bookham, Surrey. His parents were the aforementioned Eric Fletcher Waters and Mary D Whyte, who were married in the Watford area in the beginning of 1941. Later that year a son was born to them, John D Waters, born in the Hendon area, older brother to Roger. I have speculated what the ‘D’ stood for ‘Duncan’, which I found later from the Whyte family. In this post I will discuss the Whyte family and in my next the Roger family. Eric Fletcher Waters was born in 1914 at a place called Copley in the county of Durham. Though I have not been able to see his birth record, I am confident that this is true because both his parents’ families are recorded here on the 1911 Census of England. He died on the Italian war front at Cassino on 18 February 1944. His body apparently has never been found. After his death Mary and her two sons moved to Cambridge. She died fairly recently in 2009 aged 96. Eric’s parents were George Henry Waters and Mary Elizabeth Fletcher, and they married in the Auckland Registration District. A quick check on Google maps shows both Copley and Lymesack and Softley were places (I have no idea if they are villages or small towns) located with this district, and are very near to each other, just by a place called Butterknowle. George’s parents are recorded at Lymesack and Softley on the 1911 Census. William Waters aged 57 born in Sharforth, Yorkshire. Mary Waters aged 52 born Lymesack and Softley. George Henry Waters aged 21 born Lymesack and Softley. Lizzie Jane Waters aged 16 born Lymesack and Softley. Fred Waters aged 12 born Lymesack and Softley. Gordon Waters aged 9 born Lymesack and Softley. Residence: Post Office, Copley, Butterknowle. William is recorded as a bootmaker dealer, and George a coal miner. In 1911, Eric’s intended, Mary Elizabeth Fletcher, was tricky to track down and because of this I could not research her ancestry. There is no point assuming with family history. It has to be accurate and backed up with evidence. As I am only relying on internet databases and authentic family trees submissions, I will not write about family history relying on assumption with my research. I will, however, record my hunches and probabilities, but I will not continue any lines of inquiry based on assumption. working as a housemaid at a place called Foxleigh, Copley, aged 19, for a James Beattie, who was a GP, and unmarried. Curiously, there is another Mary Fletcher (with a middle initial which is possibly an F) aged 45, single, and a housekeeper to Dr Beattie. Are they related? Mother and daughter? They are both born at a place called Hunwick, County Durham. This also is not far from Copley, where her future husband hails from. Unfortunately, the handwriting on this entry is quite bad, quite a thick fountain pen was used to fill in the form. Typical GP! George Henry Waters died on the 14 September 1916, aged just 26. He was a sapper for the Royal Engineers, attached to the tunneling division, no doubt because of his experience as a coal miner. I came across a strange coincidence when I found George’s details on the War Graves Commission web site. Another George Henry Waters, a Corporal with the Leicestershire Regiment, died the following day! So, this is as far as I go with the Waters line and their associated surnames. There are family trees on the Ancestry site if anyone wishes to find out more on the generations. It is a real shame because I would have liked to explore the Fletcher ancestry, but I would have to look at the marriage certificate to get a clue who Mary’s father was. However, if I have got the correct census entry it may be that Mary was illegitimate and the information on the certificate would not be helpful after all. I tried to find if any other researchers had been successful in finding Mary’s ancestry and I was surprised to find that there wasn’t any. So, it’s therefore a problematic research project for others as well, which some cases can be at times. Green. What I find interesting is that Roger Waters used his middle name,as his christian name, which originally came from his grandmother’s surname. July, 1931. I wonder if she was coming back from a visit to her younger brother George? Kong. In fact all the registers he appears in until 1925 has his residence at Swatow, now known as Shantou I believe. It turns out he volunteered to become a missionary for the English Presbyterian Foreign Mission in 1902, and I found a passenger manifest that he travelled back to China on September 29, 1923, on a ship called the Atsuta Maru, a ship that was bound for Japan, but he would disembark at Hong Kong. He barely made it. Some months before he became seriously ill and had to travel back to England for treatment for a condition called Sprue. Today this is called Celiac Sprue, a condition affecting the small intestine, through eating gluten based products. Despite not totally fit to return to his duties, he embarked on the Atsuta Maru and reached Honk Kong in a desperate condition and died there on 25 November, 1923. His obituary can be found here. It appears he was married. There is an entry in the FreeBMD index of a George Duncan Whyte marrying a Florence A McCaubrey in late 1914. When I found his obituary there was no mention of a wife, so I thought I must have seen a different George in the BMD. But I tracked down a copy of the China Mission Year Book, published in 1912, which stated that he had a wife. This contradicts the BMD record of a marriage in 1914; I can not find a marriage before this date. Going back to Robert Whyte and Jeanie Whyte, I could not link them into the same family. Sometimes I come across cousins marrying but I doubt this is the case here. Jeanie Whyte was born at Aldagate in 1843 (according to a family tree on Ancestry) and her marriage record shows that her father was a Robert Whyte, a merchant. He died 7 December, 1869. He was born in Scotland in 1810, and he and his wife Agnes were married in Scotland, probably Ayr. In the 1861 census for Lee, Kent, Robert Whyte states that he was a colonial merchant, which sounds quite exotic. I wonder if he travelled to distant lands as his grandchildren did? Robert Whyte’s (Jeanie’s husband) father was Thomas Whyte, also a warehouseman, and that is all I can find about him. I did not find him in earlier census, which can happen now and again. But Jeanie’s family tree is available to see on Ancestry. This is part one of my research into Roger Waters family tree. It has yielded a lot of interesting names, and a lot of information. My next post will be on the Roger family line and the associated families they married into. The ancestry of James Paul McCartney (18 June, 1942) is on the whole of Irish descent. His mother, Mary Patricia Mahon was born circa. 1909 at Liverpool (died 1956) and his father James McCartney (born 7 July, 1902) also at Liverpool. Mary’s parents were Owen Mohin (born County Monaghan, Ireland) and Mary Therasa Danher (sometimes spelled as Danaher) and born at Liverpool, though her father John hailed from Ireland. Her maternal grandmother was from the Dudley area. James’ parents were Joseph McCartney (born Liverpool circa. 1867) and Florence Clegg (born circa. 1875 at Liverpool). Again, Joseph’s descent is Irish and knowing that Irish records are not the most accesible records on the net, I was interested to find out Florence’s family tree. Joseph and Florence were married on 17 May, 1896 at Christ Church, Kensington, Liverpool. Both fathers were stated as being deceased, Paul Clegg a fish salesman and James McCartney a painter. When I started looking for Florence’s family in the 1881 census I found that her father had died and her mother was named Jane Clegg, a fish monger’s widow. They lived in what appears to be 13 Caud Street, though this may have been abbreviated, possibly Caudwell Street. The other members of the family were daughters Ann A Clegg (29), Paul (26), Gilbert (12) and of course Florence (6). Interestingly Jane was born in the Isle of Man, but the children were all born in Liverpool. But were they Jane’s children? The ages of the oldest children suggest not. Finding them in the 1871 census was not difficult. However, sometime during his early years residing in Liverpool Paul anglicised his name to Clegg. We can see this by examining his marriage records. He was wed 3 times. His first marriage was to Ann Bell on 25 August 1840. (“England, Marriages, 1538–1973 ,” index, FamilySearch (https://familysearch.org/pal:/MM9.1.1/NF16-G9J : accessed 30 Apr 2013), Paul Clague and Ann Bell, 25 Aug 1840). Ann would have been the mother of Thomas Bell Clegg, baptised 15 October 1841 at St. Augustine Church, Everton; William (c.1843); Margaret (1844) and Elizabeth (1845). I did find baptism records for children with these names and birth years but I was confused with the entries for their father and his occupation. The Paul Clegg that I was after consistently stated his occupation on the census as a fish monger, and yet on the baptism records they state that he was a pattern maker, which suggests to me that he worked in a factory. Ann must have died soon after 1845 because Paul married his second wife, Margaret Bell on 29 January, 1849 at St Nicholas Church, Liverpool (“England Marriages, 1538–1973 ,” index, FamilySearch (https://familysearch.org/pal:/MM9.1.1/N2TY-YQY : accessed 30 Apr 2013), Paul Clegg and Margaret Bell, 29 Jan 1849). Was she a relation to Ann, his first wife? A sister perhaps? According to the 1861 census, Margaret gave birth to 2 children, Anne Alice Clegg (c.1852) and Paul Clegg (c. 1855). Margaret died soon after (there is a death registration for a Margaret Clegg in Q3 1856 in Liverpool) and we find Paul a widower again in the 1861 census. Not for long! He marries a Jane Clague in 1863 and a closer look at his 1861 census household and we see a 23 year old Jane Clegg, born in the Isle of Man, working as his servant. The similarity in their surnames suggest that there was a degree of kinship between them. They had 2 children, Gilbert Cummins G. Clegg (1869) and Florence (c.1875), Paul McCartney’s paternal grandmother. It appears that the couple had a child named Gilbert Cummins Clegg born 1864, but died in the West Derby area in Q1 1866. 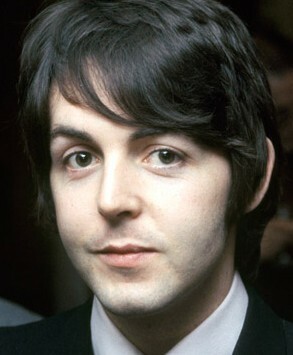 So, it appears that Paul McCartney had the chance to exist because his great grandfather from the Isle of Man suffered two bereavements from the early deaths of his wives and married for his last wife, his young servant, in the early 1860’s. What happened to Florence’s only full brother, Gilbert? He married Rose Roberts in the West Derby area in Q4 1891 and they had 6 children, 4 alive in 1911, Jane, Gilbert, John Paul and Joseph Gilbert. Their details are on a public tree on Ancestry. It also states that the G initial in his name stands for Grimes. In 1901 Gilbert senior was working as a dock labourer and lived at 152 Friar Street in the Everton area. By 1911 he was employed as a tram conductor, living at 6 Blyth Street, Everton. He died in 1941. When I encounter personal names when I’m researching family trees I get quite curious about how they have been chosen. They usually reflect previous generations and are a great help, though not confirmation of, in connecting past generations. The name ‘Gilbert’ stands out in Paul McCartney’s tree and I was determined to find out if there were any links to an ancestor. Who could I find if I went further down in time? The information contained in this post is the cumulation of the research I conducted last September. The public tree I found yesterday when I was familiarising with my notes has revealed differing information from my research. Whether I am right or not, I think it’s important to state both conclusions, but I will say that my findings has revealed an ancestor with the name Gilbert. 01 May 2013), Robt Clague, 05 Mar 1810. May 2013), Robert Clague and Elizabeth Corrin, 1808. 1821-1911,” index, FamilySearch (https://familysearch.org/pal:/MM9.1.1/X5G6-MYW : accessed 01 May 2013), Robt Clague, 16 Mar 1817). To confuse further, the mother is listed as Elinor Corrin and not Elizabeth. This suggests that this Robert is not the brother of Paul because the discrepancy in their ages is too great. So, I go on to find the parents of Elizabeth Comish and see what I can find. Elizabeth Commish christened 6 July, 1783 Arbory, Isle of Man. William Comish christened 27 November, 1743 Arbory, Isle of Man. Parents: Gilbert Comish, Margaret Clark. 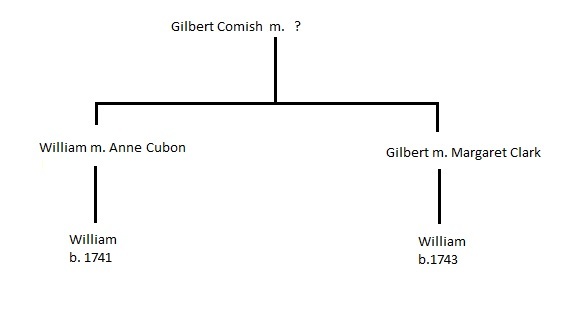 Source: “Isle of Man, Parish Registers, 1598-1950,” index, FamilySearch (https://familysearch.org/pal:/MM9.1.1/X8S9-KQ2 : accessed 01 May 2013), Wm Comish Clark, 1743.
father named Gilbert. Perhaps a diagram may explain better. born in 1741. Making it even more troublesome is that there is only one marriage found on FamilySearch for a Gilbert Comish. May 2013), Gilbert Comish and Margt Kaveen, 1736.
that is what is stated in the baptism records of William Comish (1743). This is, unfortunately, as far as I dare to go! Paul Clague’s second wife was also named Margaret. Looking closer to this publicly accessible family tree on Ancestry reveals a Welsh connection in Paul McCartney’s family history. I haven’t checked the facts myself but the researcher has provided copies of marriage certificate for James McCartney, Paul’s great grandfather. He married Elizabeth Williams whose grandfather was a Welsh mariner named William Williams who was born either in the Mold area or a place in Flintshire.